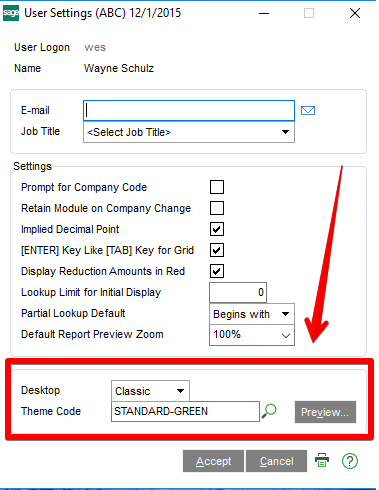 Users of Sage 100c version 2016 will notice upon starting the software for the first time that there’s an option to use either (a) classic desktop or (b) standard desktop. 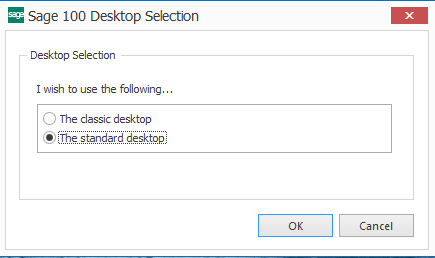 The classic desktop is the same interface used in prior versions of Sage 100. 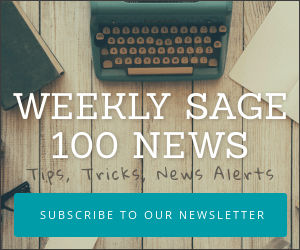 Note: When you install Sage 100c, if you are using the Sage Payroll module you must register with the new unlocking keys or your payroll module will not operate properly. 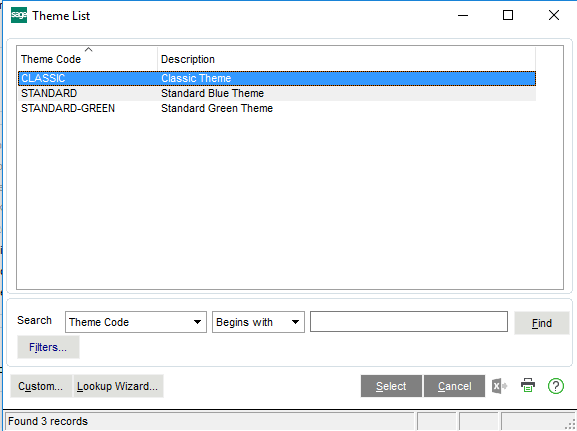 The standard desktop is exclusive to Sage 100c v2016 and can be activated either during the initial setup or by using the new change user settings as displayed below. 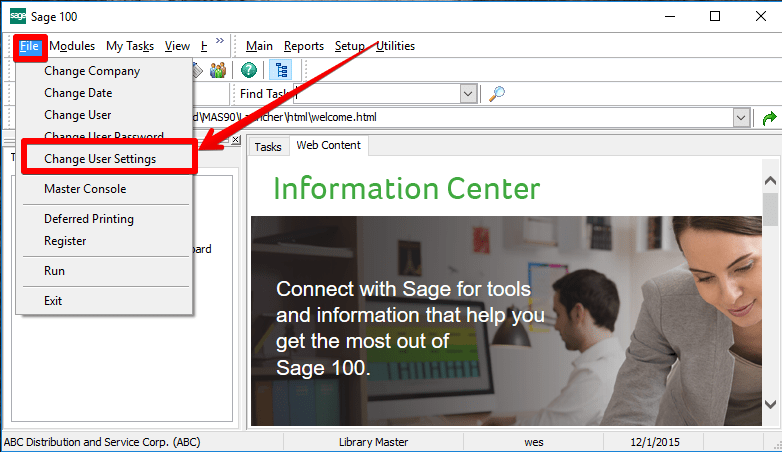 The easiest way to change your interface with Sage 100c is to click the settings button on the main login screen. Click the settings button in the lower left corner and you’ll be brought to the “Change User Settings” menu option. From here you can change the desktop from classic to standard as well as select different themes. You can also access the Change User Settings within the normal user interface by accessing the File menu and Change User Settings. 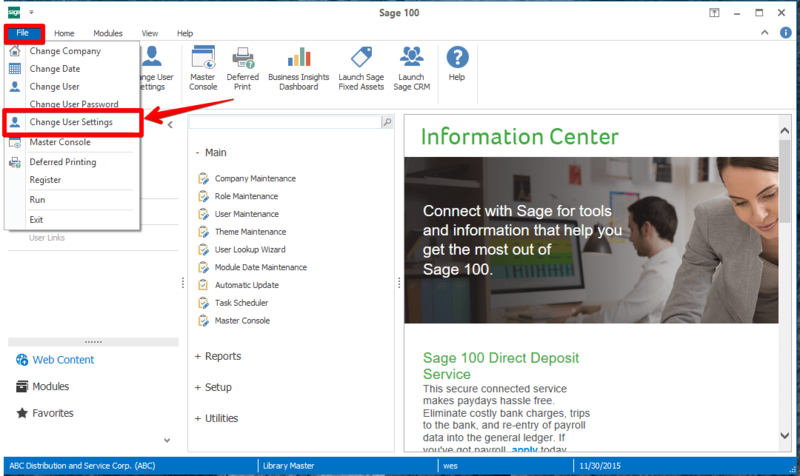 If you decide that you wish to change back at any time, simply select File, Change User Settings and you can easily go back to the Sage 100 classic desktop.